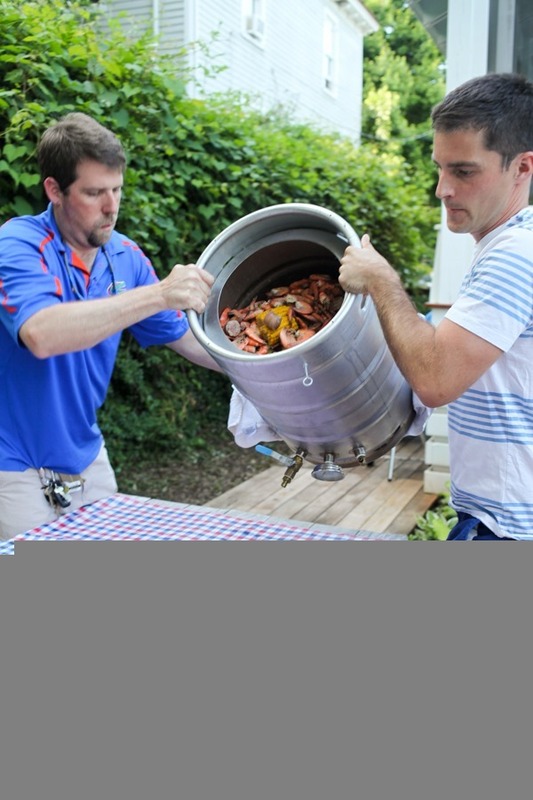 This weekend Matt and I held our Third Annual Low Country Boil! As a refresher, here are links to our first two! This year we invited 175 people (including toddlers). We are crazy! But we just keep making more and more friends : ) We actually wanted to invite even more people but we had to draw the line at those who we see regularly. This was definitely the most expensive party we’ve ever thrown. We ended up having about 75 show up! 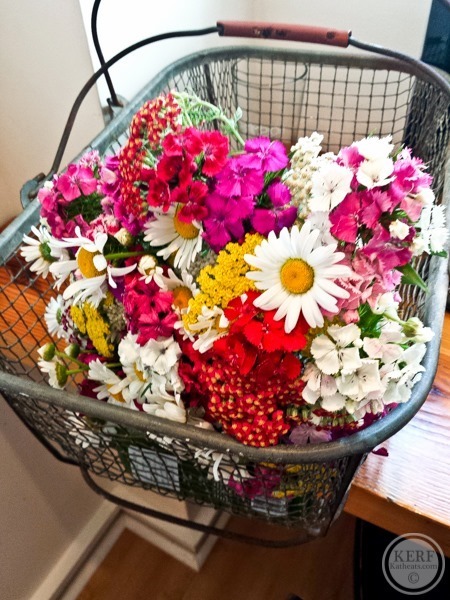 In preparation, Mazen and I went to the market on Saturday to stock up on berries, fresh flowers from Twin Oaks and Andouille from The Rock Barn. Matt and I spent the afternoon preparing the yard. We lucked out with gorgeous weather! We had four beers on tap plus sparkling water. 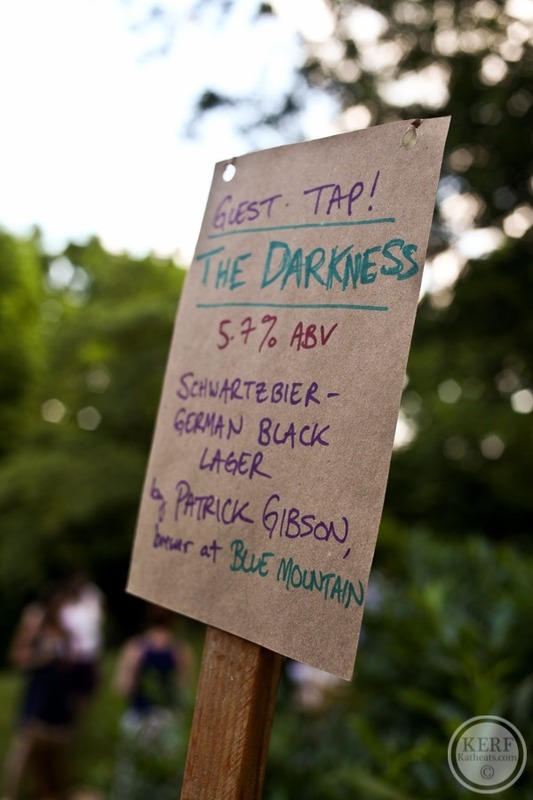 This year we also had a guest brewer – Matt’s friend Patrick brought a schwartzbier! 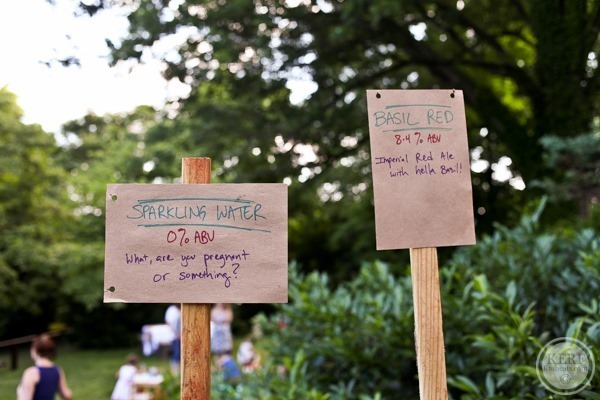 We also had lots of wine, lemonade and juice for the kiddos. We actually couldn’t do this party on such a large scale without the help of Matt’s beer equipment. 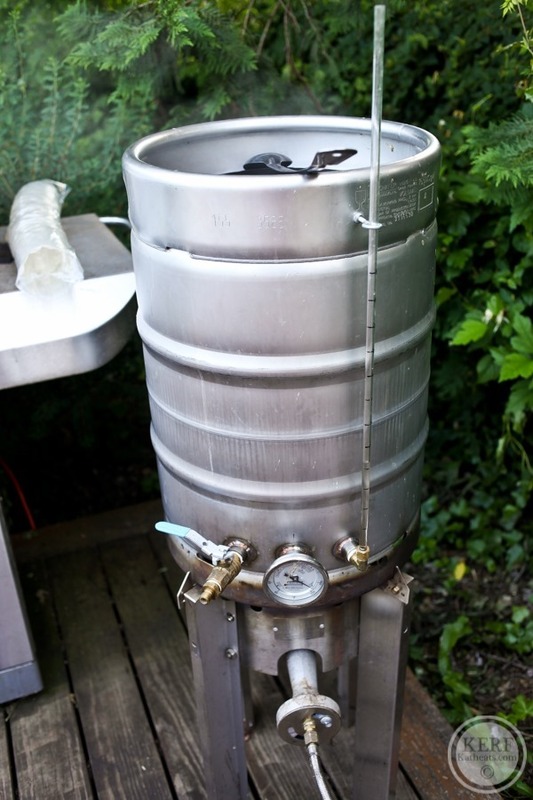 We use his giant brew kettle (and old keg turned pot) that he can drain with a hose before we pour out the dinner. 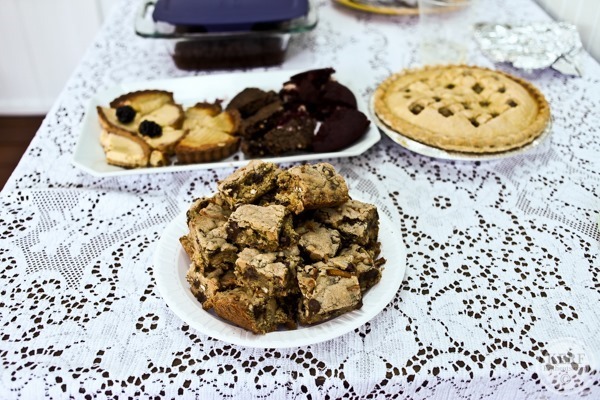 Here’s the recipe if you want to make it for small group! Our friends brought more sides and desserts and there was more than enough delicious food to go around. I feel bad that we didn’t get any people shots except this one just as folks were arriving. We were too busy chasing toddlers, eating and chugging beer to remember to take more! Sunday night we went to a cookout for my friend Eileen’s birthday. 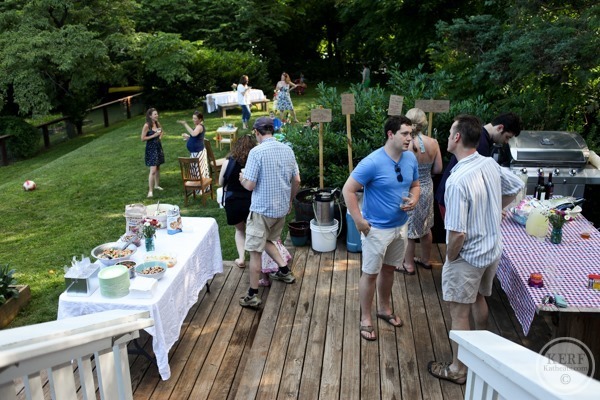 Eileen is fundraising for the Cystic Fibrosis Foundation and hosted a killer craft beer cookout in exchange for donations to her campaign. If you feel called to donate, here is Eileen’s fundraising page. She’s almost to her goal! Your Low Country Boils always look so fun! And delicious 🙂 You are obviously some amazing and generous hosts. Hope you have a wonderful week, Kath! Oh wow, that looks like so much fun! 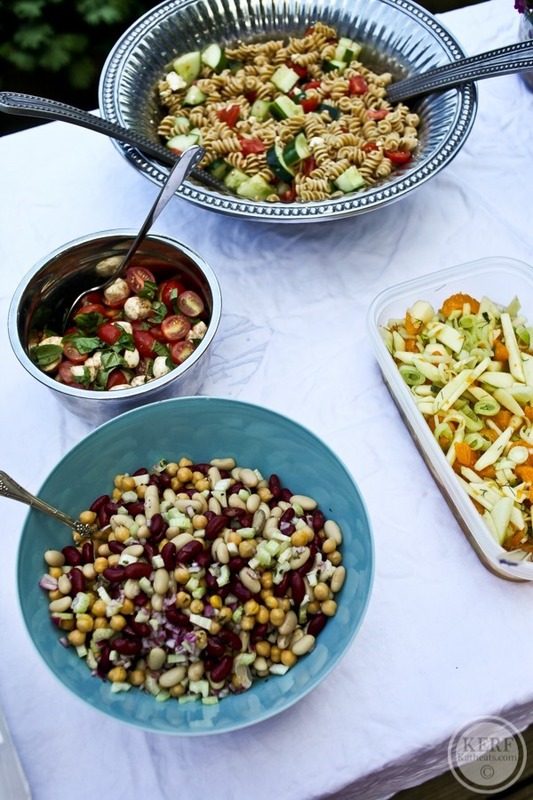 I love summer, and I love it even more when there is such good food involved on a warm summers day! What a fun party and I’m sure your friends really appreciate you for all your effort put into it! I’m pretty sure my brother had 75 at his wedding! Looks like a wonderful time! I’m sure everyone appreciated your chopping and food prep for such a great main dish. I so love this! 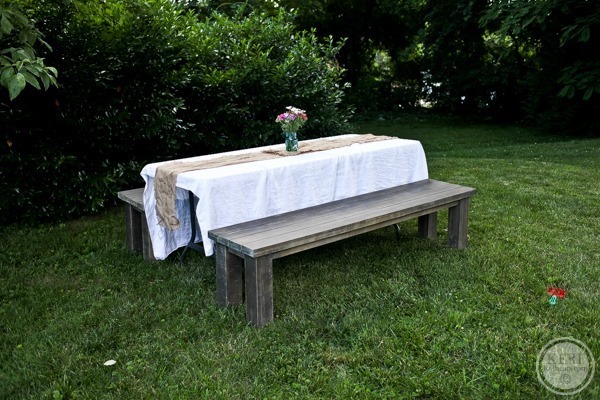 I love the whole idea and would love to do this sometime! My only concern is that it doesn’t look like a lot of food for 75 people (and have leftovers!). Maybe I like to play it safe and I always overbuy. How do you know how much to buy for so many people? I wouldn’t really know where to start! We have sooo much left. We do 1/3 pound of shrimp per person and I think a quarter pound of meat. One piece of corn and I think a quarter pound of potato….I can’t remember exactly. We always have more than enough and not everyone eats equally so it balances out. Plus there are lots of sides. Wowsers! You must have a big back yard!! The spread looks fantastic, just had a bowl of tiger prawns with garlic chili butter (ghee actually!)…incredible! I’m hooked! What a fun party! 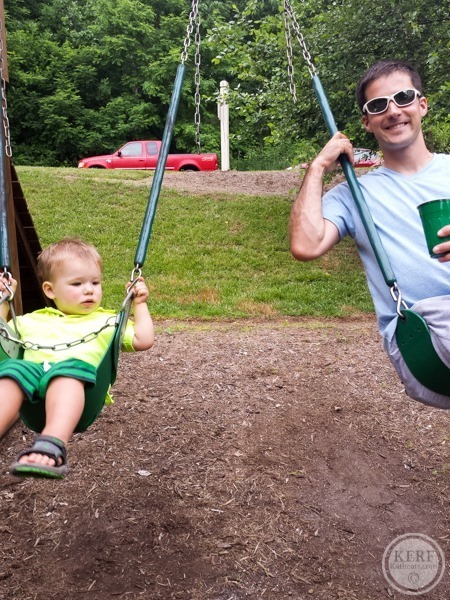 Mazen looks so serious on the swing–it’s so funny how toddlers will get in a super focused zone like that, it’s too adorable! 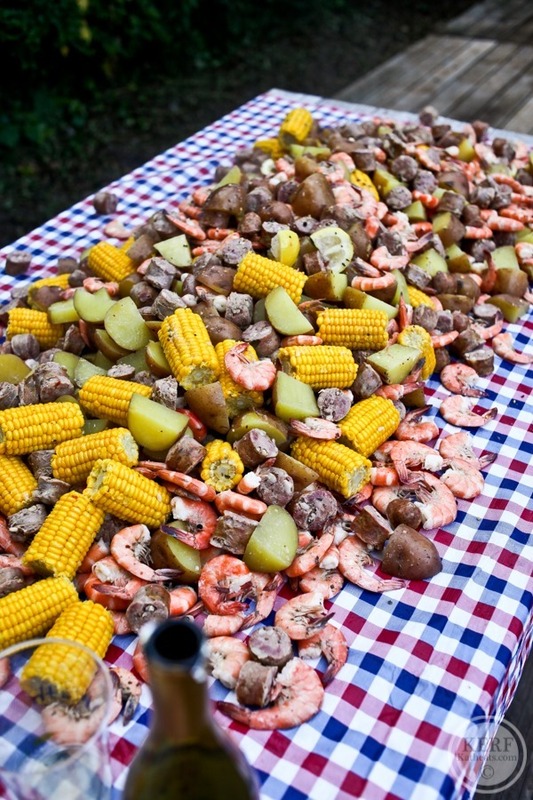 I live in California so I’ve never been to a Low Country Boil but yours always look soooo fun! And OMG you have so many friends! I feel like I only see about 10 of my friends regularly lol! Did you have to rent tables and chairs for that many people? Fundraising for her bday! what a great person! Your weekend looks like so much fun!! Inspiring to host such a large party at your house! Wow, how do you have time to see 75 people on a regular basis? I could probably only get to that number if I included everyone in my office, haha. I want to do this one day, on a smaller scale a group of about 10 of us 🙂 looks like you had a blast! 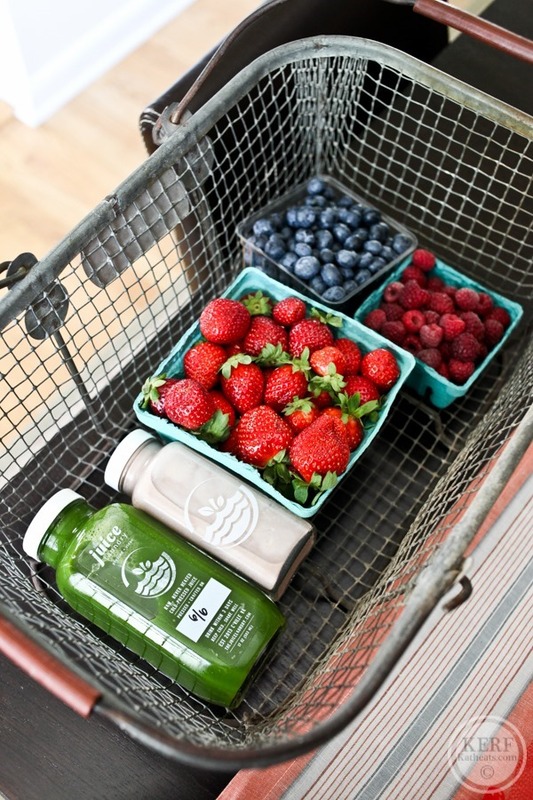 that’s the greatest FM basket — so perfect!! love your black lace tank, too. I don’t even know 175 people! The food looks delish! Those flowers are so gorgeous!! 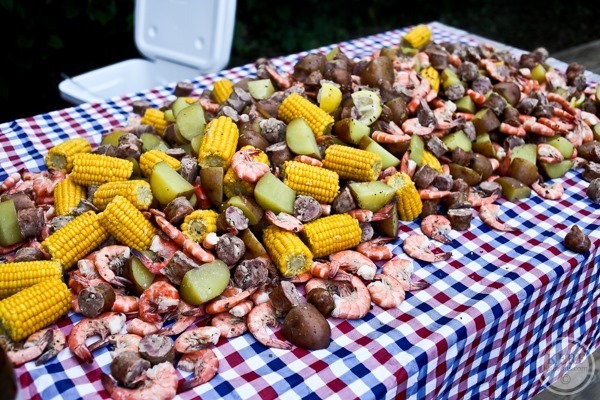 I’ve always wanted to do a low country boil!!! 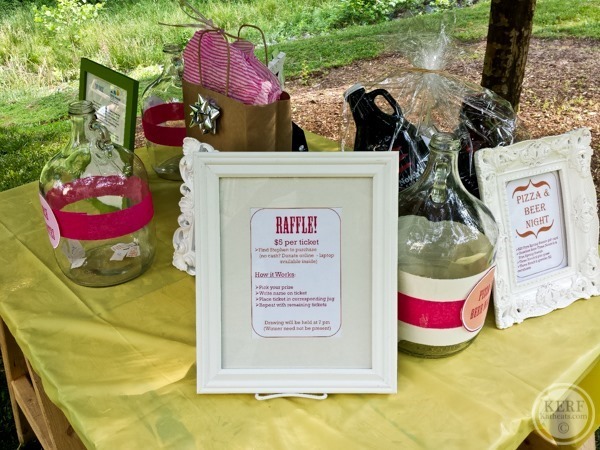 Pinning your recipe for a fun summer event! CUTE black lace tank! Will you share the source? Sounds like a full house but a great party and weekend! I love when you post your low country boils, because it always reminds me to make them! Looks like a wonderful party, and the beers are so creative. 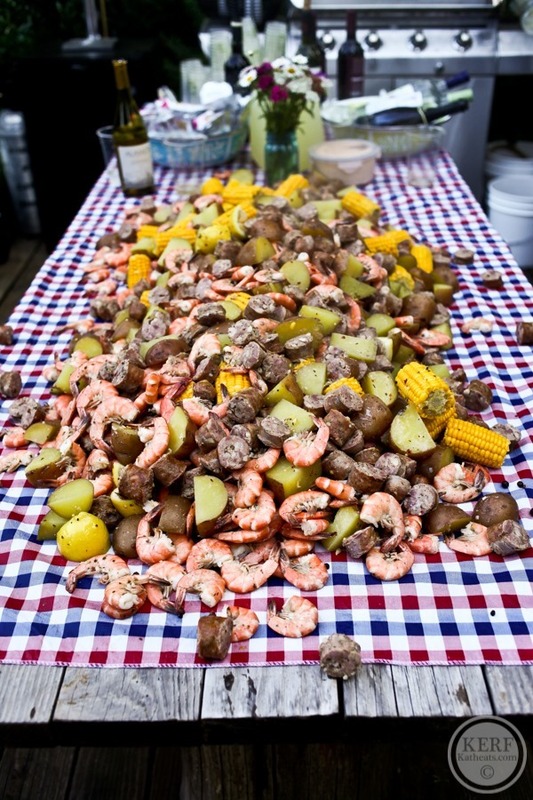 Your low country boil posts are some of my faves! 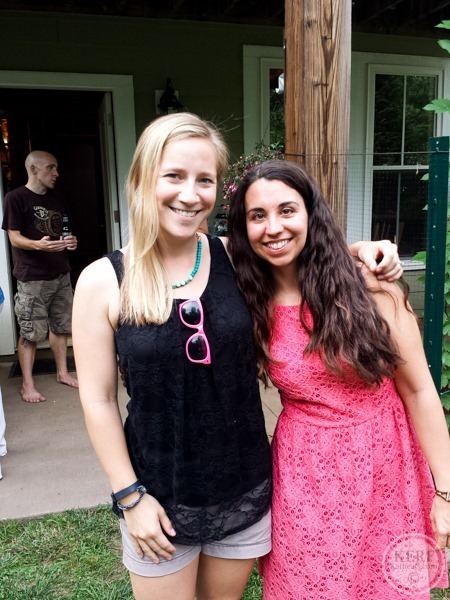 Your family seems so incredible – wish I knew all of you in person! WOW I can’t believe it’s 2 years since your porch warming… I must have been reading for a long time!!! I was wondering if Matt would be willing to share his recipe for the Imperial Red ale with Basil! My husband and I are wine-makers (and beer) in northern CA, and we would love to try that one. He seems to have some really creative beer ideas! At flameout, let sit hot (or whirlpool if you have capability) for 30min before chilling. Ferment low, in the 62-65 range for the bulk of fermentation, then ramp up to 70* to finish. RE: “stems of basil,” I’m referring to something like an 8 inch long stem that has 3-5 leaf clusters on it. It’s a lot of basil! I’ve made this with 20 stems before and it was a little perfumey. I’ve also done a Basil Wheat with 8 stems and that was pretty light but still noticeable. 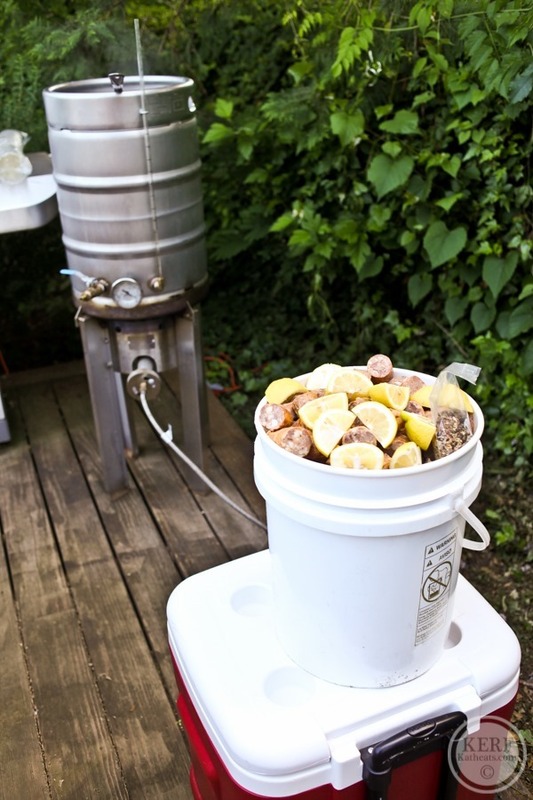 As for the flameout hops, you could use many varieties but I’d pick something with a cooling light flavor – don’t make it a huge citrus bomb. Thanks so much! I will pass this on to my husband. I will let you know how it turns out! The food looks delicious! (I’m sooo hungry right now.) My cousin and her husband started a cystic fibrosis foundation in Monterey, CA, called The Living Breath Foundation. Both of their children have CF. Since it’s mostly a genetic condition, it’s a mystery as to how they developed it. No one in either family has had it in the past. The kids are around 30 years old now. 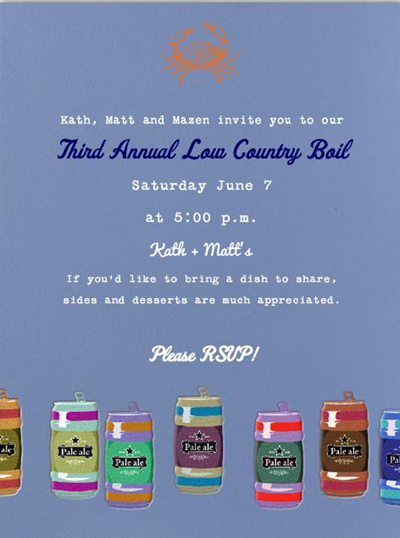 I’m getting ready to attend their annual fundraising dinner at a private golf club in Carmel. It’s always a treat, and they raise a lot of money with silent and live auctions. wow, 175 people? It’s like you were throwing a wedding!!! LOL! fun stuff. This looks awesome. Do you know of a handy way to scale back this recipe so it’s just for two adults? I don’t have to space to throw a huge party like this quite yet! Does it reheat well? The recipe I posted is for a smaller scale but still more than 2. It does reheat well! 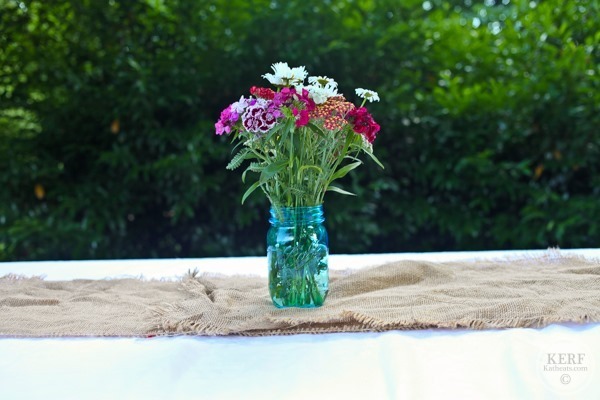 This post is like bottled summer. Beautiful food, company, drinks and pictures! Wow, I can’t imagine seeing 175 people regularly. Looks awesome!!!!! 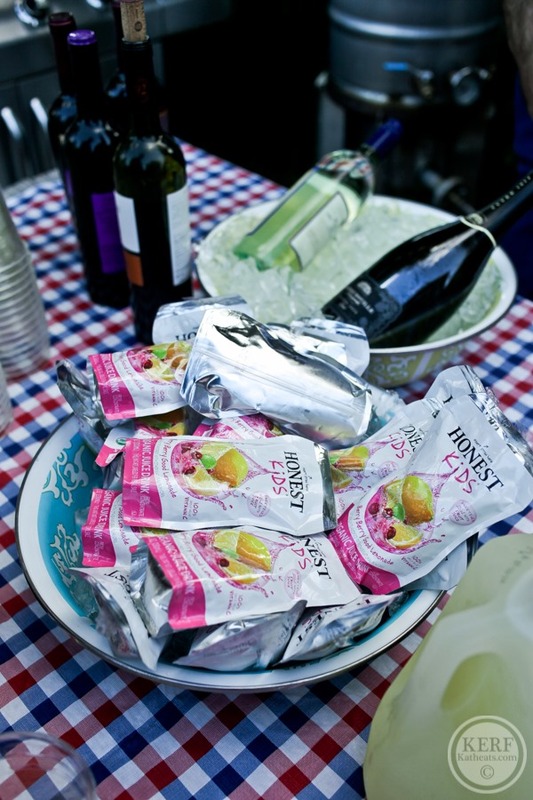 Looks tasty but those juice pouches are terrible for the environment. With a layers and layers of plastics and metals they are impossible to recycle or reuse so every single one ever producer is landfilled or incinerated. Just a thought for next time. Well I only buy them for big party events – they are not daily staples around here. 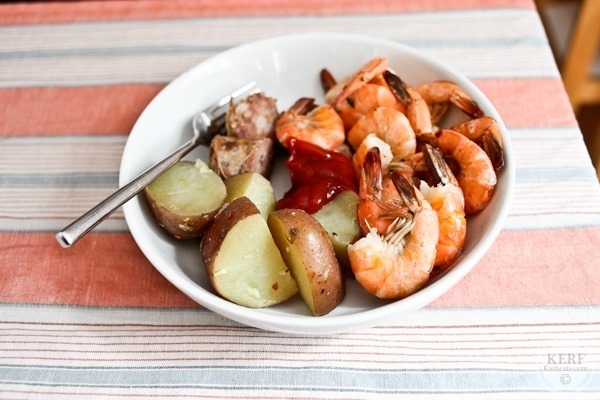 Another idea for low country boil leftovers (I’m sure it’s not a new one, though! :-)… For breakfast, dice (but not too small) the potatoes, sausage and shrimp and sauté in a little butter (also add a bit of corn cut from the cob) on the stove. My SIL made this a couple of years ago after we did a non-traditional Thanksgiving dinner of Low Country Boil. Simple and delish! Ah, this all looks SO delicious! And I love all the homebrew (also, obsessed with Blue Mountain Brewery!). 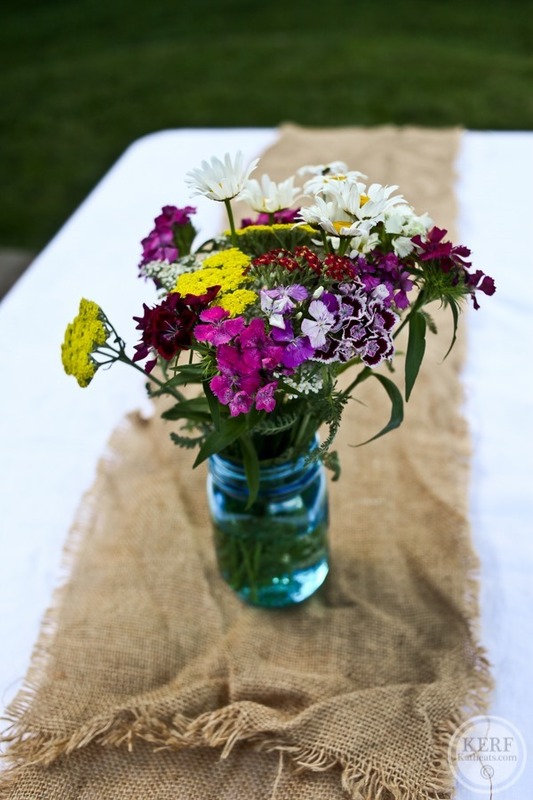 And those flowers are seriously gorgeous! So great! We are hosting one on Labour Day weekend with our friends. 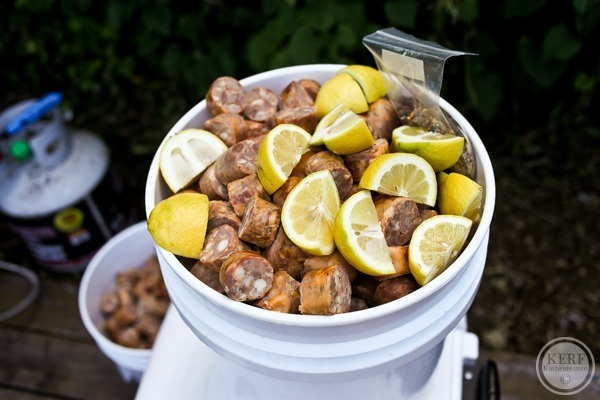 Do you make your own spices or order them, for the boil?